Group Captain James Hood craves complexity in his projects. That’s what he indicates when he says he wants to get to “a higher level of executive defence program management at some stage”. Following two senior roles on high profile aircraft projects—the AP-3C Orion and the Wedgetail—in succession, it isn’t hard to imagine him on the ascent. Hood joined the air force 23 years ago, starting with an engineering degree in an operations position. As his career progressed, so did his role in various projects such as aircraft upgrades. “As time went on, I started working more and more with complex projects. One of the big ones was the upgrade of the AP-3C Orion aircraft, involved in hunting submarines and doing surveillance across the north of Australia,” he explains. 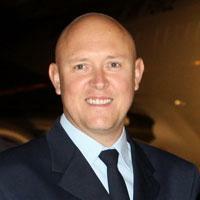 In 2000, he became a deputy project manager at Avalon airfields in Victoria before being promoted to project manager and later, project engineering manager. After several months of 80-hour weeks, he and his team saw their fledgling fly into the Gulf, finally a proud moment after a lot of hard work. Lesson learnt, he says Wedgetail has thus far managed to avoid the “ridiculous hours” of the Orion project, despite being “one of the most complex undertakings by the Australian Defence Force”. In addition to its technical challenges, with 11,500 contracted requirements across multiple systems and multiple suppliers, 5.5 million lines of software code and sophisticated systems to install, test and maintain, the Wedgetail project also required cooperation across the world, with teams in the USA, UK and Israel as well as Australia. Working under Air Vice-Marshal Chris Deeble, Hood finished up as the chief engineer in Australia, which was a project management role establishing all the systems in service, to support the aircraft when they arrived. Adeline Teoh is the editor and publisher of ProjectManager.com.au. She has more than a decade of publishing experience in the fields of business and education, and has specialised in writing about project management since 2007. Adeline Teoh has written 62 articles for us.